Technological advances, an ever-changing regulatory environment and evolving forms of competitive pressure. You don’t just need a testing facility, you need a Telecom partner. 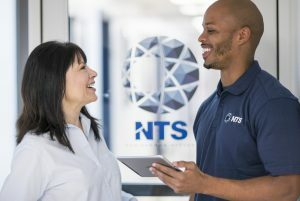 As an industry leader in the field of Telecommunications testing and certifications, NTS offers an unmatched portfolio of services. With more commercial Telecom test laboratories in North America than any other company, and the agility to adapt to the rapid and constant changes of the communications industry NTS stands alone in the depth and breadth of our service offerings. 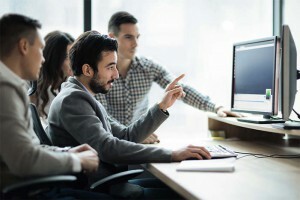 Our expertise and extensive experience enable us to quickly identify and solve small issues before they become big problems; saving valuable time and expense in the product development process. Such an adaptive, proactive culture is supported by another NTS advantage: Our people. NTS engineers and technicians are among the industry’s best. They are widely recognized experts in the field of Telecom equipment engineering. And in fact, many directly participate in the standards development process with industry and governmental agencies. NTS is the exclusive authorized certification test lab for the Multimedia over Coax Alliance (MoCA). MoCA is an industry driven standard promoting the networking of digital video and entertainment products throughout the home using the existing coaxial cable. For more information, click here. As the sole certifier for DIRECTV, NTS works with a MoCA-affiliated standard, which covers many MoCA tests and validations, except at different frequencies. For more information, click here. NTS can also develop, manage and execute customized certification programs. Leveraging our powerful Telecom engineering infrastructure, we can address challenges and solve problems many others can’t even approach. Our testing resume is deep with experience in Telecom products, including DSL routers, cable modems, and cellular devices. We also have extensive capabilities in wireless technologies and cover large numbers of standards, including all of IEEE-802.11 standards, as well as low-power standards such as IEEE-802.15.4. For more information about how we can engineer success into your Telecom products, Request a Quote now. You can also visit our NTS NEBS page to learn more about our network of Verizon ITL certified laboratories. NTS operates the largest national network of NEBS (Network Equipment Building Systems) telecom testing labs in the country. We can provide complete engineering and project management solutions that help you mitigate risk, reduce delays and bring your product to market faster. We can also provide EMI and EMC testing to the highest manufacturing standards. Our Telecom testing labs feature anechoic and semi-anechoic chambers of various sizes. This allows our team to accurately analyze how harmonic flicker, electrical surges, ESD and other factors may impact your product. NTS is equipped to test optical fiber, cable and active/passive components and systems. We can test against multiple specifications, including Telcordia, Military, TIA/EIA, and ISO. We also perform customized test programs against specifications or test plans developed with or for our client partners. Four – 10m EMC semi-anechoic chambers throughout the network of labs plus many 5m/3m chambers. A2LA testing accreditations covering GR1089, GR63, GR487, GR3108 and many other GR standards. A2LA testing accreditations covering regulatory CISPR/EN 55022, CISPR/EN 55024, CISPR/EN 300 386, FCC Part 15B, KN22, KN24, VCCI, BSMI CNS 13438 and AS/NZS CISPR 22 EMC standards and many more. Product Safety Testing and Evaluation Services, including strategic relationships with UL, CSA and TuV to support IEC/EN 60950-2, IEC/EN 60950-22 and many others. A2LA accredited Telecom Terminal Equipment Interface Testing Services addressing TIA (Part 68), ETSI/TBR, JATE, CS03, ITU-T and AS/ASIF standards and more. A2LA accredited Wireless Testing and Certification Services for licensed and unlicensed devices, including SAR and DFS testing, North American TCB status and European Union Notified Body under the R&TTE directive. Functional, Performance and Interoperability testing services. International Approvals for North, South and Central America, European Union, Africa, Middle East, Asia, South East Asia and Australia. For more information about how we can engineer success into your Telecom products, Request a Quote now.